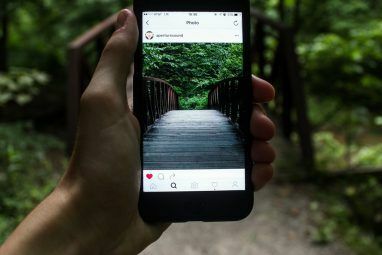 It took Instagram a good while to make its service accessible from a computer browser, and even now there are a few features that are lacking from its web interface. This is no doubt an effort to keep Instagram’s users locked into where it all started — the mobile app. That said, there are some brilliant Chrome extensions that can add a ton of additional features to your Instagram in-browser experience. You can view Instagram in a small tab, accessible from a handy button in your Chrome browser; you can download photos; you can restore Instagram preview images to your Twitter experience; you can even add keyboard shortcuts! To see just how much you can get out of Instagram with a few key extensions, check out the list below. Instagram for Chrome: We took a look at Instagram for Chrome Bring Facebook, Instagram & Twitter to Your Browser's Toolbar With These Chrome Extensions Bring Facebook, Instagram & Twitter to Your Browser's Toolbar With These Chrome Extensions Looking for a more streamlined way to use your favorite social networks? Developer 64 Pixels offers a series of Chrome extensions which let you take three major social networks — Facebook, Twitter and Instagram —... Read More in the past and it’s one of the best options out there for quick access to your Instagram feed from the comfort of your Chrome browser. 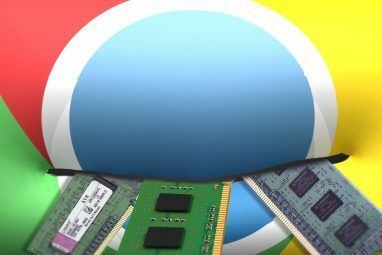 The Chrome extension gives you access to all the basic features you would expect from a browser add-on. You can scroll through your feed, enlarge photos, view the original Instagram link, like and comment on photos, and also search for tags and users. You can also view your own profile, popular photos and tags, your likes, and also your notifications, although this requires granting the extension extra permissions to access that data. If we had one complaint about Instagram for Chrome it’s a lack of actual notifications. While you can view your notifications when you open up the window, the extension won’t actually let you know when you receive new notifications. Instagram Download Button: If you’re looking for a quick way to download images from your Instagram feed, Instagram Download Button offers a basic way to do that. The extension places a small download button next to the like button on each photo in your Instagram feed. You can’t, however, go to a user’s profile page and download images from there. You must do this from your feed. When using this extension, do bear in mind that you shouldn’t share these images elsewhere without the photographer’s permission. InstaTwit: Are you annoyed that you can’t see Instagram photos on Twitter anymore? One way to put those preview images back in your timeline is with InstaTwit. After installing the extension, just go to the Twitter homepage and check out your timeline. You’ll find that photos shared on Twitter from Instagram can be previewed exactly as they used to, before the plug was pulled on the feature. All you have to do is hit the ‘expand’ link, or check out the tweet on its individual page. The extension also adds a ‘View on Instagram’ link to the tweet. You can also view how many likes and comments the image received without leaving Twitter. If you’re using a third-party Twitter client, however, this option won’t work for you. Cloudy for Gmail: Cloudy for Gmail creates a direct connection between your Gmail and Instagram accounts. To see the full list of services Cloudy for Gmail supports, check out our full review How To Attach Files From The Cloud To Gmail In Chrome How To Attach Files From The Cloud To Gmail In Chrome Have you ever found yourself in a position where you're trying to get files out of the cloud and send them to friends or colleagues via email? You probably end up having to download the... Read More . Cloudy for Gmail allows you to send your own Instagram images directly from Gmail without having to download them to your computer first. This is probably one of the easiest ways to share your Instagram photos with friends who don’t use the app. OneFeed: If you’d prefer to put your Instagram browsing alongside other social media accounts in your Chrome browser, OneFeed is a great way to do just that. You can connect your Instagram, Twitter, Facebook and Google+ accounts, and view all of them on one page. 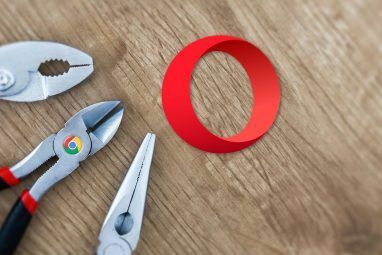 OneFeed sets it up where any new Chrome tab automatically opens up to your feeds. You can browse them all on one page, or you can click on links on the side, and view just items posted to one social network at a time. You can like Instagram photos directly on OneFeed, while clicking on the image will open up its Instagram page. To see just how much you can get out of the service, check out our review of OneFeed here OneFeed Lets You Manage Social Networks, Cloud Drives & News Feeds Under One Roof OneFeed Lets You Manage Social Networks, Cloud Drives & News Feeds Under One Roof Facebook, Twitter, Instagram, Google+, news, favorite websites, Dropbox, Google Drive, Gmail…. are you out of breath yet? This is just a fraction of the services an average user deals with on a daily basis. How... Read More . ZoomHover: If you want to enlarge Instagram photos on a user’s profile page, or in your timeline without actually clicking on the link, ZoomHover can enlarge the photo simply by hovering over it. It will open up a larger version of the image right there, overlayed over the page. This is a great way to speed through a user’s profile on Instagram without having to stop and click on individual images. It’s worth noting, however, that this extension works with other sites such as Facebook, not just Instagram. Insta++: Speaking of ways to speed through Instagram, if you’re a fan of keyboard shortcuts, you’re going to love Insta++. With this Chrome extension you can take advantage of a limited number of really useful keyboard shortcuts when viewing images in your Instagram feed. There are just four keyboard shortcuts you can use with this extension: J will take you to the next photo, K to the previous photo, and L will like the selected photo you are on. Lastly, M will allow you to load more photos. What are your favourite Instagram browser add-ons? Let us know in the comments. 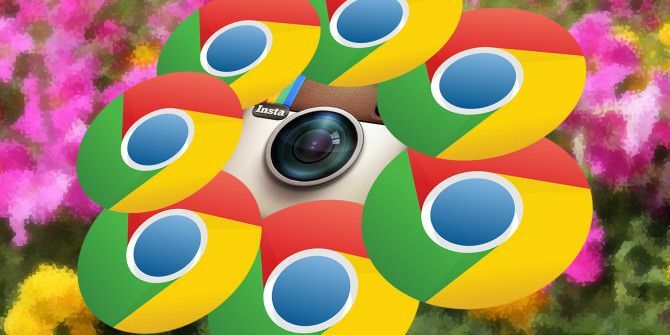 Explore more about: Google Chrome, Instagram. how do you direct message with this website thing? I admit that I downloaded InstaTwit for my torch browser because I thought it was a funny name, but it's actually a helpful extension! I'll be sure to check these extensions out. Thanks MakeUseOf!